The line-up was originally priced from £19,900. Would you buy one? Few who saw Peugeot’s futuristic 908 RC show car at the 2006 Paris motor show could have predicted that it would spawn the compact and beautiful 308 RCZ concept revealed at Frankfurt the following year. Fewer still would have guessed that the latter car would emerge almost unchanged in production form two years later, again at Frankfurt. Almost? Based on the 308 it may have been, but this time it was known only as the RCZ. Letters have proved quite important to Peugeot’s catwalk coupé. The addition of a second R, as in the range-topping RCZ R, came along with a 267bhp 1.6-litre petrol engine and a 0-62mph time of 5.9sec. 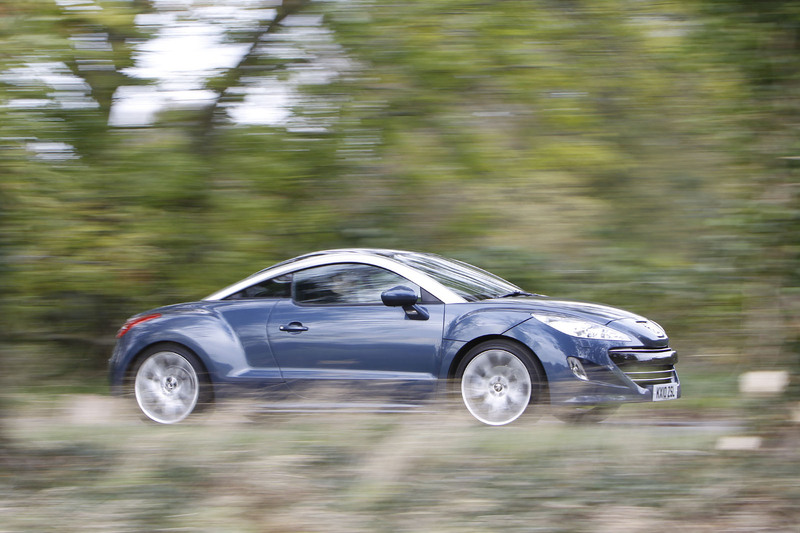 Deliveries of the £31,995 R started in January 2014, a year before RCZ production ended. There are only 300 UK-registered Rs, compared with 12,000 or so standard RCZs, so it’s rare and – whisper it – likely to become a classic. Although not the 2014 R we spotted going for £11,995. Its private seller says it’s a repaired Cat D write-off. Sorry; once a Cat D write-off, always a Cat D write-off. Let’s park the R. For all of its hidden features, Torsen limited-slip differential among them, it could be any RCZ, which means you’d still turn as many heads in our favourite, the much cheaper 154bhp 1.6 GT. 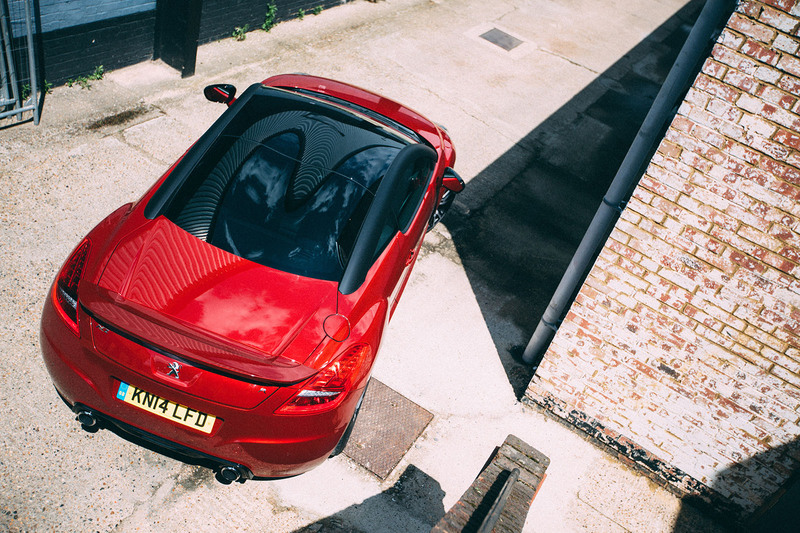 The RCZ arrived in 2010 sporting a Zagato-inspired double-bubble roof, aluminium arches and a two-position active rear spoiler, which deploys at 53mph and again at 96mph. The car is comfortable, fun to drive and, with seats-down boot space of 760 litres, reasonably practical (although it’s cramped in the rear and, unlike the Audi TT, it’s not a hatchback). However, while it’s a stunner on the outside, the RCZ’s interior, donated by the 308, is a touch ordinary. Look out for those cars with the optional leather pack that extends the cow skin to the dashboard. They look and feel much more premium. As new, the line-up started at £19,900 for the 154bhp 1.6 Sport with 18in alloys and cloth trim. An optional automatic gearbox was offered with this engine. GT-spec models got 19in alloys, parking sensors and leather. It was joined by a 197bhp 1.6 that feels brisker (0-62mph happens in 7.5sec compared with 8.4sec for the 154bhp model), but not especially so. The 197bhp 1.6 model also had the Sports kit, with a short-shift gearlever and smaller steering wheel. Diesel fans were served by a 159bhp 2.0 HDi that matched the 154bhp 1.6’s 0-62mph time but did 9mpg more (53mpg compared with 44mpg). Special editions followed, and then in 2013 the facelifted RCZ arrived, still with the same engines but with a revised grille and automatic lights. The final milestones were the arrival of the RCZ R and limited-edition, Sport-based Red Carbon. There were lots of personalisation options through the RCZ’s life. With the classifieds stuffed full of straight cars below £8000, beauty was never such a bargain. Early cars suffered timing chain and tensioner problems, so find a car that has had them replaced. Power loss on the 2.0 HDi could be a faulty ECU (it needs updating). The engine running on after switch-off could be a contaminated DPF. Noise from the timing belt at idle could be a faulty hydraulic silencer on the coolant hose. On all models, listen for a noise from the front right-hand upper engine mount when cornering. On all engines, old oil can cause idling problems. On the 197bhp 1.6, power loss could indicate a faulty turbo bypass solenoid. On the 2.0 HDi and 154bhp 1.6, shift from third to second to check if the gearbox slips to neutral. If it does, the gearshift control may need adjusting. On the 197bhp 1.6, awkward shifts can be caused by water in the gearbox. A knock at the front can be caused by upper shock absorber mounts. Check for the ABS warning light, which could indicate damaged wiring in the wheel speed sensor. A ‘gong’ noise means the battery is failing to hold its charge and should be replaced. Instrument display on early cars had lighting glitches that should have been resolved. Check for water ingress in the boot lock. Strong and well screwed together, but early GT-spec cars’ leather driver’s seat side bolsters can wear badly. Poor jacking points mean some cars may have damaged sills. There have been three recalls. The first was for 2010 cars to address front brake hose wear. The second, from the same period, dealt with possible leaky fuel return pipes on diesels. The third addressed fuel leaking from the fuel heater on 2012-2014 diesels. <>Lots of 2010/11 1.6s and 2.0 HDis, around 50k miles, most with FSH. Low-mileage 2010/11 cars, plus 2012 and 2013 cars with reasonable mileage. Fill your boots with low to mid-mileage 2013/14 cars of all types and specs. Late 15-plate cars; the last 16-platers nudging £17,000 for a 154bhp 1.6 GT. An auto car is loved by the majority of the individuals. The rate of the auto car and visits of the https://www.australianessays.org are suggested for the individuals.